Luxurious ocean front accommodations on Shacks Beach. Located on the boarder between Isabela and Aguadilla in northwest Puerto Rico, Shacks Beach is a jewel in the Caribbean. With temperatures in the 80s all winter long, fly direct to Aguadilla (BQN) or to San Juan (SJU) for a two hour drive to this this tropical island paradise. Casa Bonita is a year round vacation destination. Our two ground floor villas are perfect for families and couples alike. 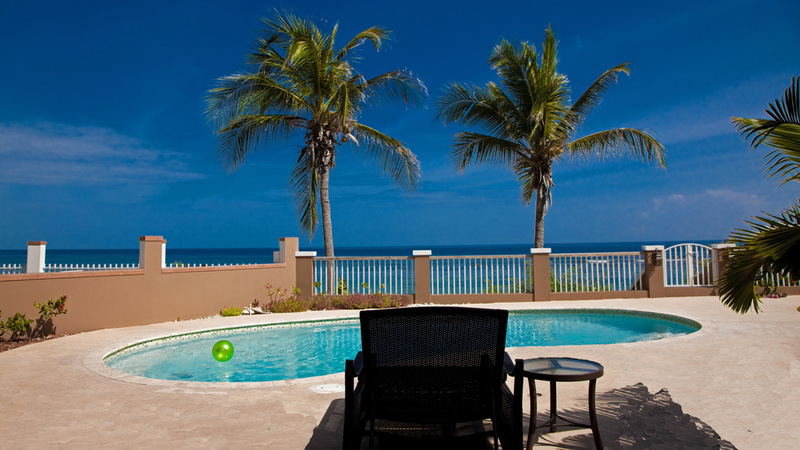 Whether you come to take on the action or relax by the pool, Casa Bonita offers the vacation opportunity of a life time. SCROLL DOWN FOR MORE INFO. Our one bedroom villa, CB1 sleeps two and can be set up as either a king or twins. CB2, sleeps four with a queen and twins. Both villas offer ocean front views, have complete kitchens, full bath, AC, wifi, cable TV, and beautiful appointments. Shared amenities include pool, gas BBQ, outdoor shower, and laundry. For booking information SCROLL DOWN or visit our listing on HomeAway.com. Book both villas and save! Rates are for 7 nights. Check in 3pm. Check out 10am. PR room tax 7% not included. In season bookings are Saturday to Saturday only. Payment via personal check or CC (3%fee). Inquire regarding shorter stays from May 1 to November 1. Holiday weeks may include an up charge.